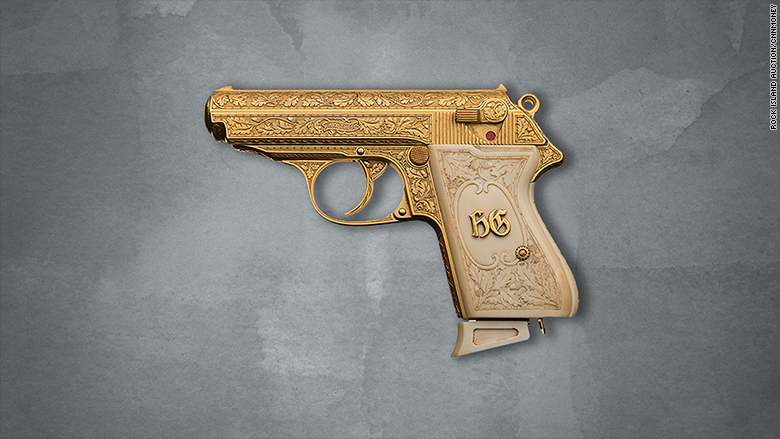 The golden gun of notorious Nazi Hermann Göring is up for auction. Rock Island Auction Company in Illinois is putting the gold-plated semiautomatic pistol of Göring up for bid in September. The gun, a Walther PPK, has an estimated price of $250,000 to $400,000. Rock Island Auction said the gun once owned by Hitler's right hand man, whose name is sometimes Anglicized as Goering, is "possibly the most historic Walther factory engraved pistol that we ever offered for sale." 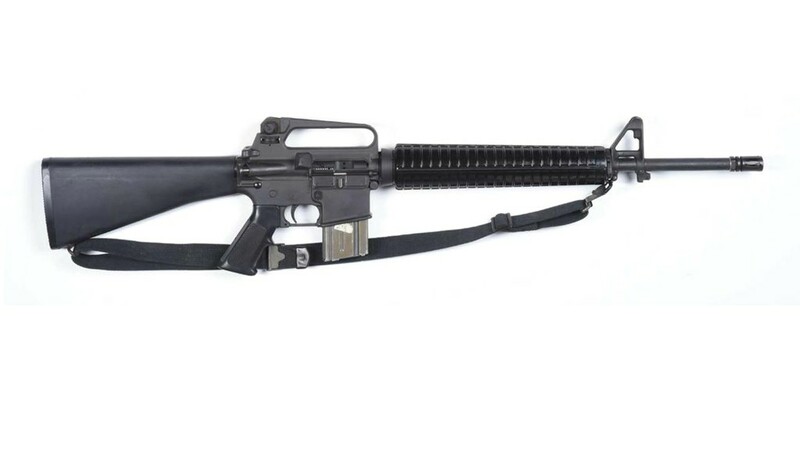 It's one of nearly 3,000 items, mostly antique guns, up for auction from September 9 through 11. The engraving on the gun, which was made in 1939, is a traditional Germanic oak leaf and acorn pattern, according to Rock Island Auction, with Göring's initials in gold letters as well as his family crest of a fist holding a ring. Rock Island Auction is putting this gold-plated Walther PPK semiautomatic pistol was once owned by notorious Nazi leader Hermann Göring up for bid. The Göring gun is part of a lot that also contains a gold ring and cufflinks once owned by the Nazi leader, who favored glitzy jewelry. Rock Island described the ring as "huge" and engraved with the family crest. 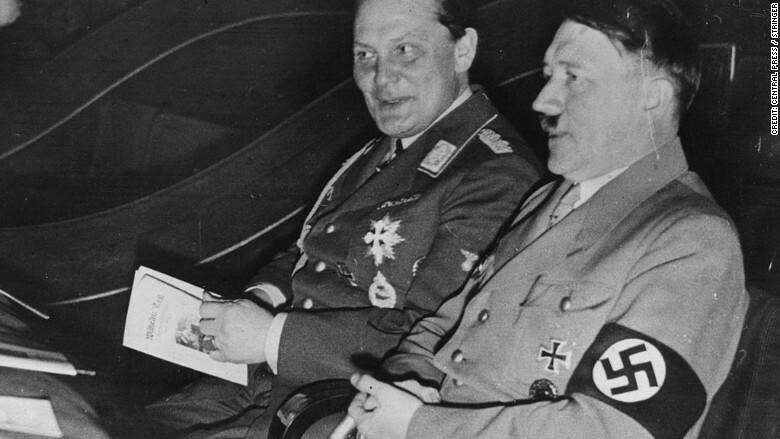 Nazi leader Hermann Göring, the right hand man of Adolf Hitler, collected jewelry, art and other precious objects looted from Jews during the Holocaust. Göring was an ace fighter pilot for Germany during World War I who became one of the most powerful Nazi leaders in World War II and a close friend of Hitler. He was in charge of the Luftwaffe, the German air force, which pummeled London during the Blitz and other European cities throughout the war. The man with the golden gun liked to surround himself with the trappings of wealth and luxury and was infamous for looting the treasures of Jews during the Holocaust. Göring was convicted of war crimes at Nuremberg but committed suicide before his scheduled execution.